How about a shaver that costs you just under £20 but promises you a smooth and perfect shave every day? Sounds too good to be true, isn’t it? 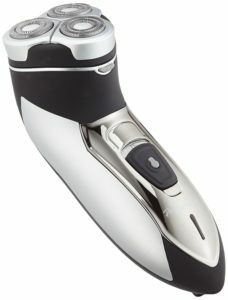 We are talking about the Paul Anthony Pro Series 3 Titanium Rotary Shaver. It is one of the most cost-effective, durable and comfortable shavers in this category and has found many takers because of its excellent features and flexible settings. This is a one-stop solution for your shaving needs if you are looking for complete freedom yet full control over your stubborn hairs while shaving. You can adjust the settings as per your convenience for a close shave that exceeds your expectation. Excited to know more about this shaver? Read on through our rotary shaver review to get a glimpse of the shaver’s features, pros and cons. The Paul Antony Pro Series 3 Trimmer Rotary Shaver does have its shortcomings, but the price is one of the lowest compared to most rotary shavers out there. This shaver is one of the most affordable in the market, and you will find it to be useful, especially if you have a short stubble or a thin beard. The ratings on this shaver are low compared to many others online. It currently has 3.2 out of 5 stars with only 53% four stars or more, but it comes in with 27% with one star. We do not recommend this rotary shaver unless you are just concerned about the price of it.